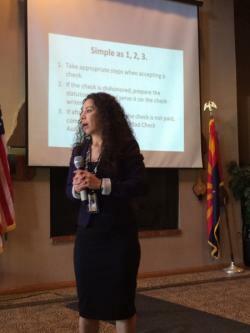 This afternoon's guest speaker was Laura Luna from Yuma County who educated our group about their Bad Check Program, offered advice when accepting checks and discussed the steps available online when a bad check is received. Afterwards, President Melissa offered a beautiful gift from the club in appreciation of her time. President Melissa Short recognized Kevin Burge this afternoon for his Acts of Good and dedication to the Yuma County Children's Museum. Kevin shared that in 6 weeks there were over 8,000 people who visited the museum, giving proof the community wants it in Yuma. Many thanks to all the Rotarians who are involved in this program!! During this afternoon's meeting, Lonie Ross-Meisenhimer acknowledged Doug Richey and presented him with Yuma Rotary's challenge coin for his Acts of Good towards Rotary projects, his dedication to his church and construction of dance sets for the community's dance companies. You're a great man Doug and so deserving! 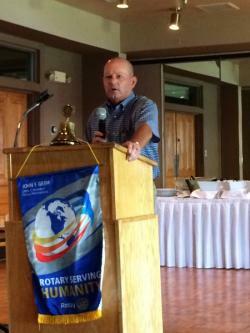 This afternoon's speaker was Wayne Steffey, Executive Director for the YRMC Foundation. Wayne shared the foundation holds fundraisers throughout the year benefitting scholarships, Bridget's Gift, cancer programs and Drive for School Supplies. So far they've raised $82k filling over 6100 backpacks for students throughout Yuma County and San Pasquale. Since they started the drive in 1999, Wayne shared they've donated over 48k backpacks!!! Wayne continued that Yuma is the most generous community he's ever worked in and credits the foundation's success to this generosity and the dedication of over 250 volunteers. Congrats and keep up the great work Wayne!!! Also during our meeting this afternoon, President Melissa acknowledged Steve Moore and his family for their Acts of Good in raising $125.00 for Amberly's Place! We are blessed to be amongst such generous people who care so deeply for our community! Thank you Steve! During this afternoon's meeting, Robert McNeese acknowledged Lonie Ross Meisenheimer for her dedication and undying support of Yuma County's Humane Society and presented her with a 100 Good Acts challenge coin! Congrats and thanks for all you do Lonie!!! 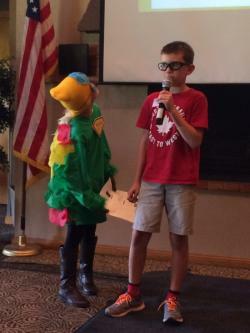 This afternoon Yuma Rotarians learned about two Odyssey of the Mind teams from Yuma and their experiences at World Finals this year. Gowan Science Academy coach, Alicia Boelts, Her daughter Daisy and Matthew placed 30th and explained how the students must work together to create their own skit, setting and costumes to come with with a solution to a predetermined problem. Yuma Catholic High School coach, Travis brought Lauren, Quentin, Travis and Nathan who shared how the expe...rience at World Finals helps them through everyday problem solving and creating everlasting friendships from around the world! They placed 29th this year! Congrats to you all and we wish your teams much success in the upcoming year!! 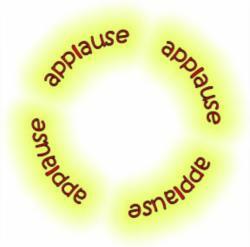 A huge 'round of applause' to Yuma Rotarians for raising $12,978 at last weekend's Killer Dueling Pianos event!! 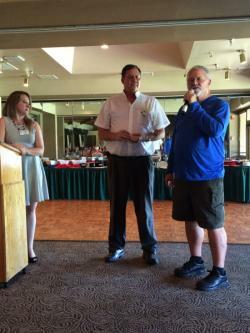 The funds raised help Yuma Rotary provide scholarships for great students within our community! So many thanks to the event coordinators and everyone who attended! This afternoon Mark Hansberger recognized fellow Rotarian Jack Puckett for his Acts of Good and selfless dedication for roles played in support of Amberly's Place and the Yuma Community Food Bank. Thank you Jack!!! 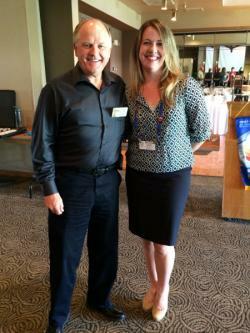 Our speaker this afternoon was Mr. Gene Dalby's, accompanied by his lovely wife, Lynn. 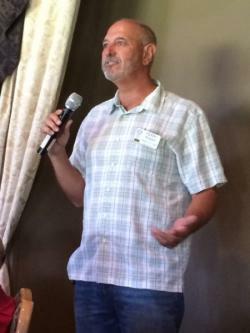 Gene talked with our group about the Yuma Bicycle Coalition, bike safety and his work to improve bicycle infrastructure throughout Yuma County in an effort to attract a portion of the $88M of Arizona's bicycle tourism to our community. He's organized 8 major events this year including the North End Classic which is a state championship criteria. Thank you Gene for your continued hard work and dedication to bring awareness to the economic impact potential for Yuma!!! 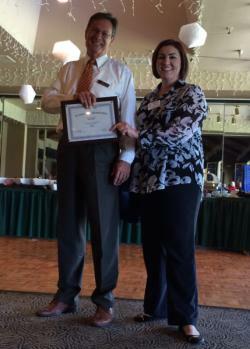 Happy 28th Rotary Anniversary Perry! 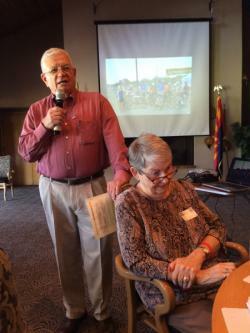 Yuma Rotary President Melissa Short invited long time Rotarian, Perry Pensky who recently celebrated 28 years as a Rotarian to share what he loves about Rotary. Perry said he joined in his 20s first for business networking but he's stayed in because he he wants to make a difference and give back to the community. He's helped build schools and contribute to well deserved scholarships and so much more! Thank you Perry and Happy Anniversary!!! This afternoon, Yuma Rotary President Melissa Short recognized Mike Mitchell with a challenge coin for his Act of Good in assisting Past District Governor Dave Hossler to our weekly Rotary meetings. Thank you Mike!! This afternoon Fred Dammeyer recognized Mark Hansberger and the Hansberger Refrigeration team for their Act of Good in supporting the Yuma Children's Museum! 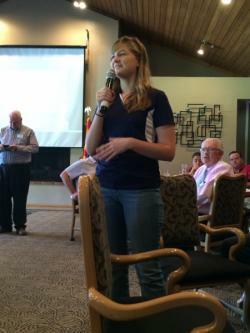 Anna Chaulk of APS spoke with fellow Rotarians this afternoon about their recent submission to the ACC for consideration of a rate increase which will help levy costs as they make technological improvements to provide power. 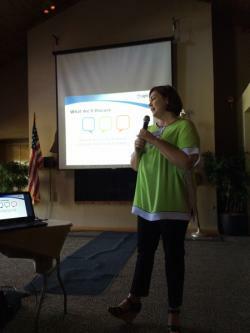 Anna explained residential customers will have several plans to choose from and suggested staggering power usage. 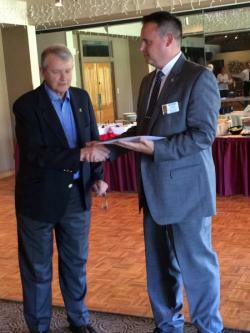 Yuma Rotary receives Gold Presidential Citation! This afternoon Frank Presson, Past District Governor presented past President Adrian Elder with a well deserved Gold Presidential Citation for the works completed by our club over his tenure. Frank explained the Gold citation is the highest award achieved by a club and our club was the only one from Yuma to receive it. 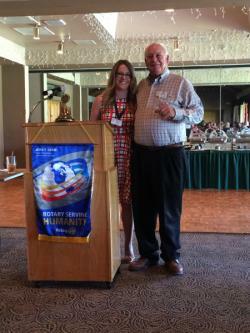 Frank continued the quick turn around to get Cibola High School's Interact Club recognized in Rotary was inspiring. 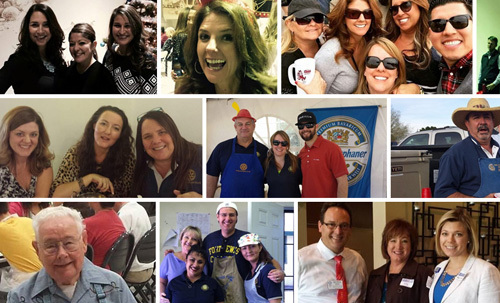 in recognition of Rotary turning 100 this year, President Melissa has challenged Club Yuma Rotarians to perform 100 Acts of Good throughout the year. 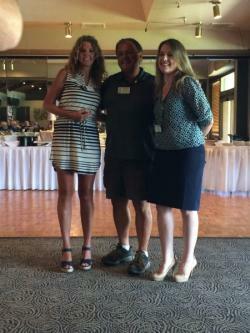 Today she recognized fellow Rotarian, Fred Danmeyer and the D & H Electric team with a challenge coin for their sponsorship of a free swim day for the community at Kennedy Pool. 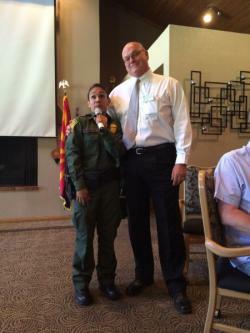 Our guest speakers today were Agents Mark Edwards, Maria Cruz and Maria Rodriguez of Yuma Sector's Customs and Border Protection. They shared about their humanitarian work to safeguard lives, and their increased proactive approach to thwart drug smuggling using intelligence driven special operations. They appreciate the partnerships with the community and offer educational programs to the community and ask everyone stay vigilant and report any suspicious activities. PS - While Terry is a teddy bear, if force is necessary for her to go home safe, so be it! 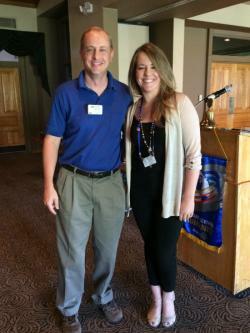 Bethany Penefold joined us this afternoon to thank Yuma Rotary for her $5,000 scholarship which she plans to use towards her Veterinarian Science degree at the University of Arizona. 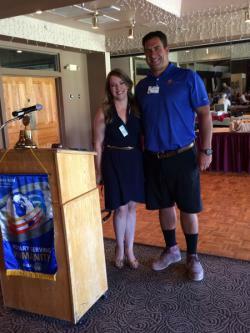 Yuma Rotary Welcomes Chris Schilt! 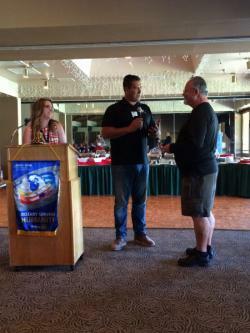 Yuma Rotary gained another stellar Rotarian today as President Adrian and Anna Chaulk formerly welcomed Chris Schilt to our group. Chris is no stranger to Rotarian life, having served as President with another group. 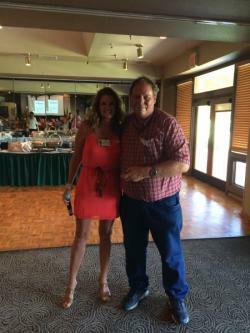 Chris is the General Manager of the Best Western Inn and Suites and he and his wife have 17 grandkids! !